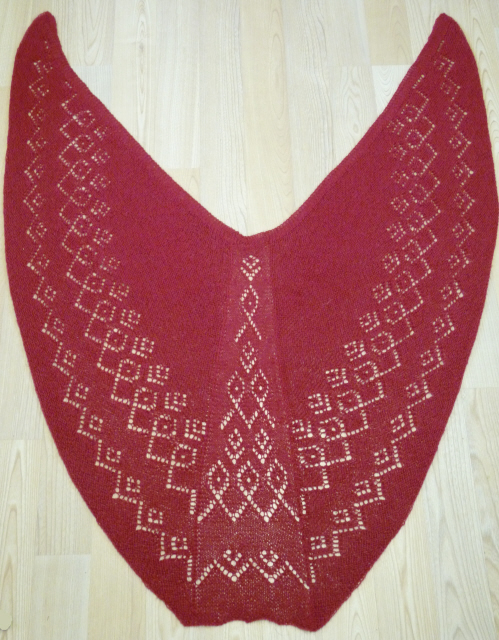 Well, the shawl is almost finished. 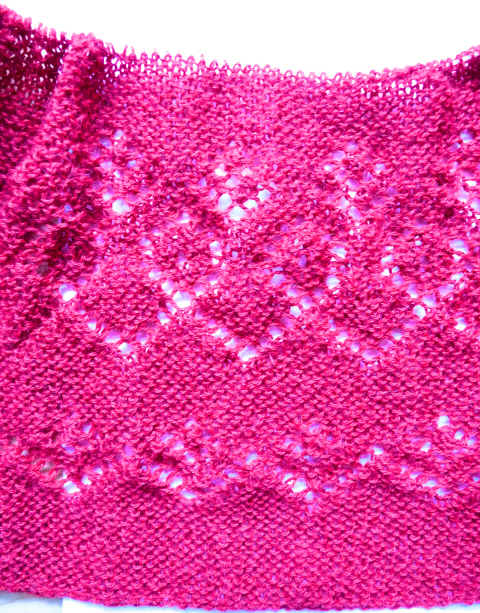 It is off the needles and photographed. The fringe is now in progress. 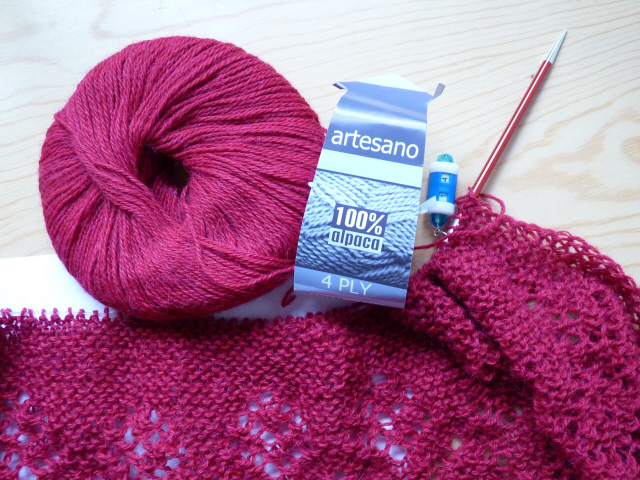 Yes, I did have plenty of yarn and will have some left over after the fringe – so it has taken 250 g of the Artesano 4 ply alpaca for the shawl and about another 50 g ball for the fringe. 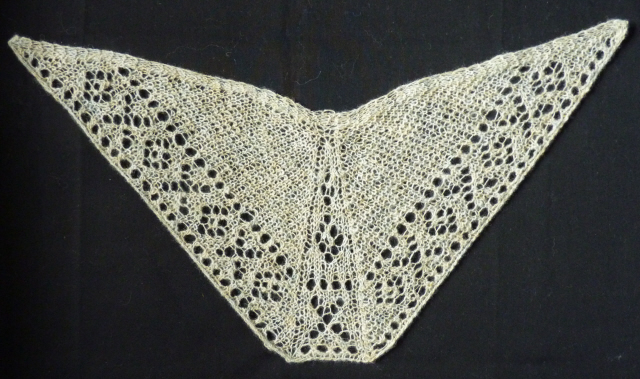 Being alpaca (a heavy fibre) it doesn’t need the fringe to weight the bottom edge, but it is looking nice! 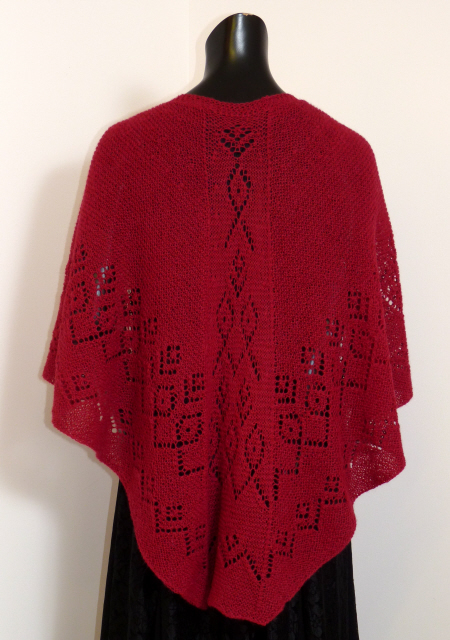 Final pix and details at a later date – I haven’t weighed and measured it yet. 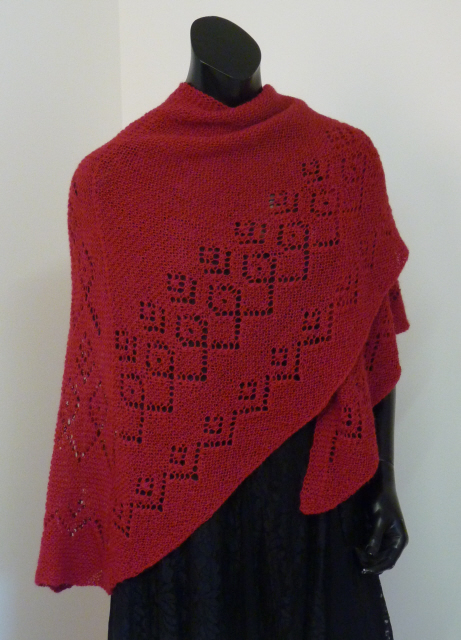 I am now working on a full sized shawl using the Artesano 4 ply alpaca I bought on Papay. I have the main Faroese book on the subject (and the English translation) but I also have photocopies of an earlier book, long out of print. These were given me by a friend who lives in Thorshavn, the capital of the Faroes. Unfortunately I don’t have a note of the title of the book. It then gives page after page of charts (215 of them) written in the usual Faroese manner – ie a x in the square where the yarn over will be. These are called ‘eyelets’ and the chart only gives these, leaving you to put in the decreases which go with each eyelet. 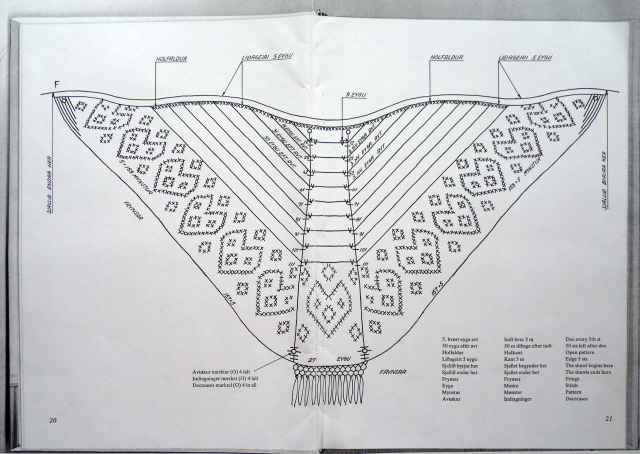 I only have a few pages and am using one of them as the basis for my full sized shawl. 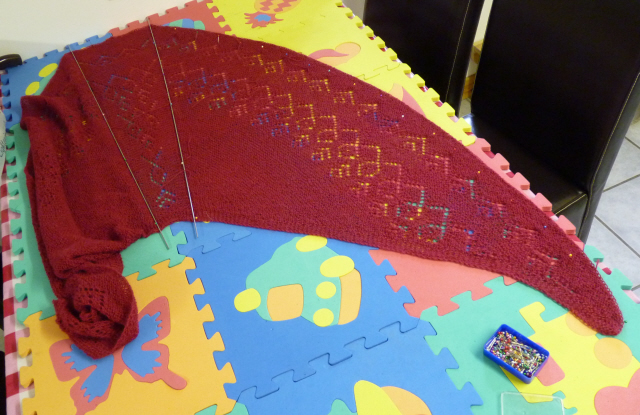 The big shawl hasn’t got that far yet… I am currently at the stage where my head KNOWS I have enough yarn to finish it, but my heart doesn’t believe it! 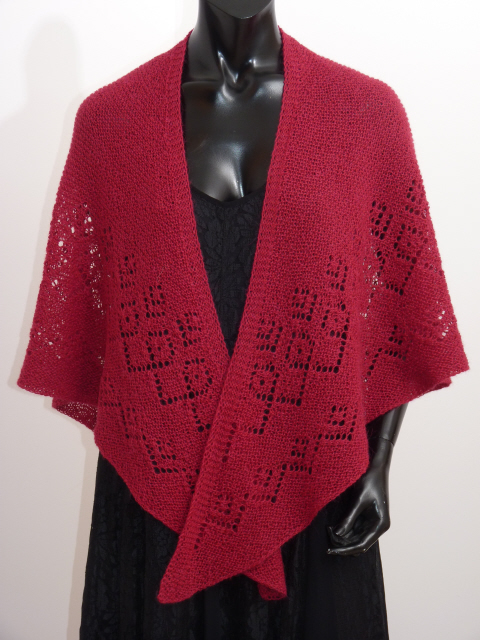 If I knit fast enough I will have enough…. If the worst comes to the worst I can ring Papay for more….